Yesterday I thought about posting this post, but I needed to get some sleep. So I decided upon this reblog, Due Process of Law, #1: Can a Law be Unlawful?, to introduce the subject. Consider leaders such as those shown above. Why did men risk so much to follow them? Was it merely their good looks or their charm? That’s doubtful, I think. Read about them, and you will find that their deeds matched their words. Because they were honorable men, they walked as they talked, and they made personal sacrifices to keep their word. Contrast that with the words of our current Secretary of Defense, Ashton Carter. Here is the crux of it. In a scathing critique of the performance of the ISF to date, Carter said, “The Iraqi forces just showed no will to fight” in fleeing Ramadi last weekend. In an interview with CNN’s Barbara Starr that aired Sunday, Carter said, “They were not outnumbered. In fact, they vastly outnumbered the opposing force and yet they failed to fight,” abandoning their equipment, large stores of ammunition, more than a hundred U.S. Humvees and other vehicles, and several tanks — reportedly including M1A1 Abrams tanks. What is happening in Iraq? Whose fault is it? Why won’t the Iraqis fight? Are they cowards? What is this “will to fight” that the Iraqis apparently lack? I fear it is something we are slowly losing in this country. What the Iraqis lack is honorable men and women, people they respect and trust, to lead them. What the Iraqis lack is the wisdom to exercise honorable behavior towards each other. Consider how Saddam Hussein ruled Iraq from 1979 to 2003. Hussein did not seek to lead men. He drove his people to obey by making them afraid for their lives. For decades Hussein taught the Iraqi people that to survive they must docilely obey the strong man. Saddam Hussein succeeded by dividing and conquering the Iraqi people. He pitted the various factions in Iraq against each other. Thus, each Iraqi citizen learned that at best he could trust only a small circle of friends and relatives. Consider how ISIS has behaved. Similar to Saddam Hussein, ISIS seeks to conquer by terrorizing any who would oppose it. Instead of members of the Ba’ath Party, the leaders of ISIS claim to be devout Muslims. Nevertheless, the leaders of ISIS model the behavior that tyrants have displayed since men first learned to conquer and enslave other men. When Americans put boots on the ground and took over Iraq (following the Second Persian Gulf War), we did not know what to expect, but we soon learned the people of Iraq did not trust each other or their elected leaders. Hence, we could not simply pack up and leave. If we did, we understood opportunists would slip into Iraq and take advantage of a weak Iraqi government. Unfortunately, when President Barack Obama pulled out our troops, the inevitable happened. Why should we have stayed in Iraq? Consider what happened when Moses led the Hebrews out of Egypt. 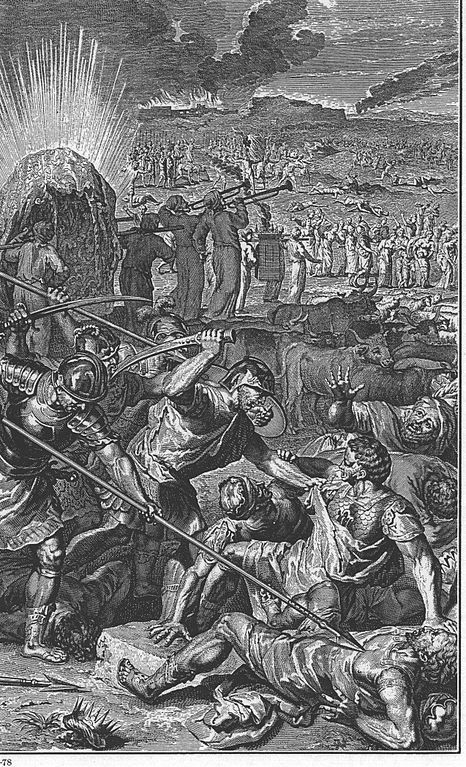 After living as slaves for centuries, the Hebrews did not know how to fight. Hence, even though they knew God Himself would fight for them, the Hebrews were still afraid to enter Canaan. Therefore, God let them march in the wilderness for 40 years, waiting until all those who had refused to enter the Promised Land had died. Honor, wisdom, self-discipline, self government….these are things we must learn, and that learning is not easy. It takes time. Like it or not, the Iraqi people cannot suddenly understand how to be good citizens. Like it or not our children will not learn just because we think that they should do so. Like it or not, if we want our government to work, we have do to what we want the Iraqis to do. We have to be good citizens. We have to make it work. If we want to be a free people, we must choose good people to lead us, and we must hold them accountable to our laws. And, with our own example, we must teach our children how to be good citizens in a free country. Precisely! The other day I wrote about sacrifice because that’s what Memorial Day is all about. Many people ignore the significance of growing up in a Christian culture, but it is apparent. Why do we fight? Why are we willing to lay down our lives? What higher purpose is viewed as so important people are willing to die for it? Without morality, ideals, virtues, there’s no point, not if you have the option to run away.